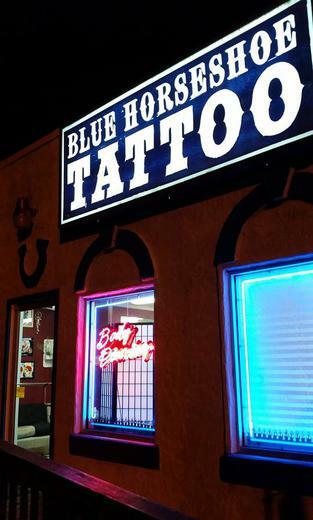 At Blue Horse Shoe Tattoo and Piercing, we take care to provide our clients high quality tattoos and body piercings personalized for their unique ideas. We take walk-ins 7 days a week from 10am-10pm, consultations are free and appointments available. 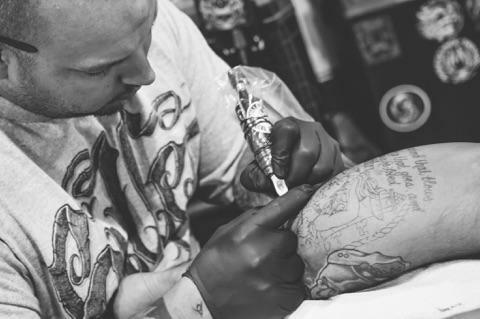 Our artists take pride in being professional, courteous and efficient. Appointments cannot be made online or over the phone, we require you to have an in studio consultation with the artist before booking. You can stop in anytime we are open and request a free consultation. *All deposits are cash only and non-refundable. If you miss your appointment without notifying the shop or artist, and do not reschedule within 6 months from date of deposit a new deposit will be required to reserve your appointment.